March 14th in Wordpress Plugins by Wordpress Jedi . 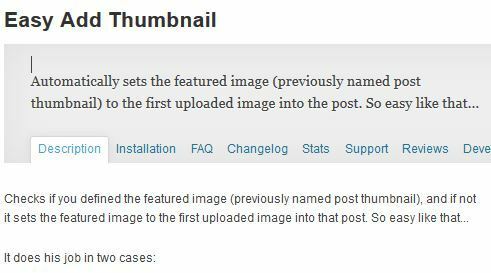 Easy Add Thumbnail: automatically sets the featured image for your posts based on the first uploaded image. It works for older and new posts. 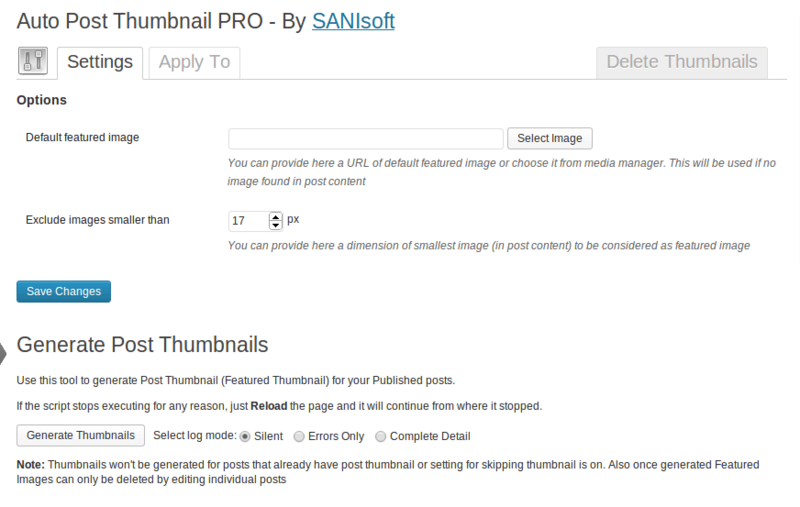 Auto Post Thumbnail PRO: a premium plugin that generates a featured image from the first image in a post or custom post type content. It can also generate thumbnail from popular video services. Default Thumbnail Plus: automatically displays default images for specific categories, tag, or custom taxonomies. It can also grab the first image per post. Unfortunately, I can’t say these plugins are always perfect. But they can save you time if you are switching to a magazine theme and have not set up featured images for your posts already. Have you found better plugins for this job? Please suggest them here.